Freddie Gray—that was his “government” name; his friends knew him as Pepper—kept the ladies laughing and liked to get fresh with fashion accessories bought with money he received every month from a settlement. Gray had a twin sister who shed some light on the kind of person her twin brother was during statements she made to the press following his death and the subsequent unrest in Baltimore. Gray was a person. A young adult, trying to figure things out at the ripe age of 25. We’ve fleshed out some parts of his life, culled from news reports, that might help paint a fuller picture of who this brother was. 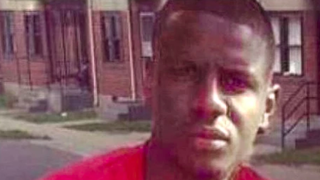 In recent weeks, Freddie Gray’s name—like those of Trayvon Martin, Michael Brown, Eric Garner and Renisha McBride before him—has taken on a life of its own. Slap a hashtag in front of it, and it’s come to represent a social-justice movement. But around the way, the Daily Mail reports, Gray was referred to as “Pepper” by his closest friends. 2. He was raised by a mother who suffered from substance abuse, had a disability and could not read. Gray was exposed to the perils of substance abuse and disability at an early age. His mother, Gloria Darden, was addicted to heroin when Gray was a child. Darden is also reportedly disabled, although it is unclear what kind of disability she has endured. Darden revealed in a court deposition that she also could not read. 3. He lived in an apartment building so riddled with lead paint on the walls that unhealthy levels of lead showed up in his blood. The poisonous lead paint discovered in low-income housing in our nation’s inner cities caused irreversible damage to the children who lived there. According to court documents referenced by the Daily Mail, Gray and his two sisters were among those exposed to high levels of lead in the wall paint and windowsills in Gilmor Homes, a public housing complex in Baltimore. A lawsuit was filed in 2008 on behalf of Gray and his sisters against their landlord, and they won. A court settlement found that he and his sisters would never lead “normal functional lives” because they had twice the amount of lead in their blood as what is defined as the minimum level for lead poisoning in Maryland. Gray and his sisters received steady checks from that financial settlement. 4. In school he read at a level four grades behind. Several things about Gray, his mother and sisters were revealed in a court deposition stemming from the lawsuit that was filed against their landlord. Gray was described as “four grade levels behind in reading,” the Washington Post reported. 5. Of the 18 times that Gray was arrested, he had been arrested for a violent offense once. That was in March of this year. The Washington Post reports that Gray had previously spent about two years behind bars—his longest time in jail. 6. Gray had asthma. In fact, he asked the police who arrested him April 12 for an inhaler. According to the Baltimore Sun​, that request was made before Gray was placed in the van. Gray was never given an inhaler during his April 12 detainment. 7. He had a female twin: Fredericka Gray. Angela Gardner dated Gray off and on for about two years and described how he brought fun and cheer to whomever he encountered. “Every time you saw him, you just smiled because you knew you were going to have a good day,” Gardner, 22, said. That humor rubbed off on OGs and young kids, too, since he would sing (albeit off-key) and had a smile that seldom left his face. His swag helped him court women in the neighborhood. He would get fresh by buying designer accessories (he liked Prada) with the “lead check” money he received every month. 9. He was reportedly leery of cops and believed that he was targeted by police for no reason at all other than standing idly on a street corner. Reid, who bailed Gray out of jail twice this year, speculated that Gray probably ran from police April 12 because the last time Gray was minding his business and standing on a corner, he was arrested. “The last time he stood there, he caught a charge,” Reid told the Daily Beast. Reid also said that Gray told him that the police had once planted drugs on him during an arrest—which, if true, might have contributed to his distrust of police. Police found a knife on Gray after they arrested him April 12. Reid said that someone more familiar with the law might have realized that the cops needed probable cause to stop, frisk and detain someone, “but these kids don’t know that,” Reid explained. 10. Gray spoke about wanting a better life for himself. Angela Gardner, the young woman he once dated, said that Gray spoke about his future. She said that Gray wanted change in his life. “He wanted to get away from here. He wanted to live better than we’re living here,” Gardner said. Diana Ozemebhoya Eromosele is a staff writer at The Root and the founder and executive producer of Lectures to Beats, a Web series that features interviews with scarily insightful people. Follow Lectures to Beats on Facebook and Twitter.